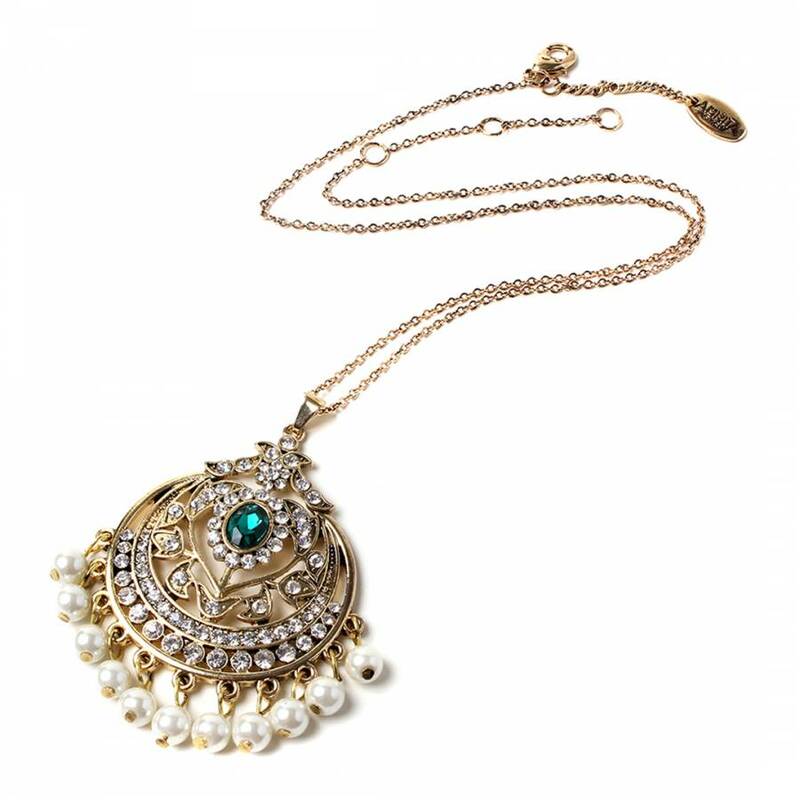 Gold tone brass necklace with Austrian crystals and glass pearl. Lobster clasp. Dimensions: L2 x W2 inches. Colour: emerald/gold.